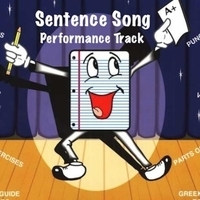 Background music for the "Sentence Song" from "Grammar Songs" by Kathy Troxel. Lyrics: Every sentence has a subject and the subject does something in the present, or the future or the past. Every sentence has a subject and the subject does something and remember that the period comes last. It can be a question. It can be a statement. It can also be an exclamation.